← What’s the current state of Windows Anti-Virus? Cooperatives Fortnight 2013 starts tomorrow. Our co-op is taking part in a few activities this year. Come along and meet us, or find other events on the national website. This Sunday, I’ll be riding 50 miles in support of Leonard Cheshire. Some of it is familiar roads, some of it new. I’ll also be riding 12 miles just to get to the start line. If you’re a UK resident and would like to guess my time and make a small donation, please give it a try on guess2give. Next Thursday 27 June, I’ll be at Somerset Cooperative Services AGM in Taunton. See their site for further news. There might be something on Monday 1 July. To be announced later maybe. 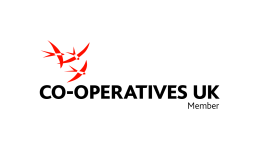 On Thursday 4July, mjkaye will be at Building Our Co-ops in Liverpool. See the national event listing for details. So… what will you be doing for co-ops fortnight? This entry was posted in Community, Cooperatives and tagged coops14, events. Bookmark the permalink.